Are you ready to reimagine handwriting and to celebrate the importance of handwriting all month-long this January? National Handwriting Day is on January 23, but we’ve extended our National Handwriting Day celebration throughout the month of January. Although we celebrate the importance of handwriting every day, we are specifically dedicating the month of January to a special handwriting celebration. We can’t wait to share our exciting events, special prizes including one complete classroom set of student bundles plus the HITT: The Handwriting Interactive Teaching Tool™​ teacher kit ($500 value), and more with you! National Handwriting Day celebrates the history and importance of handwriting both in the past, the present, and the future. Created by the Writing Instrument Manufacturers Association in 1977, National Handwriting Day was chosen to be on January 23 because it is John Hancock’s birthday. As the first person to sign the Declaration of Independence, his signature is one of the most recognized and his name is nearly synonymous with signing one’s name. We’re excited to share our special National Handwriting Day celebration with you as we welcome 2018 with our reimagined handwriting instruction and as we celebrate John Hancock’s birthday on January 23. Keep an eye out for all the fun coming your way! 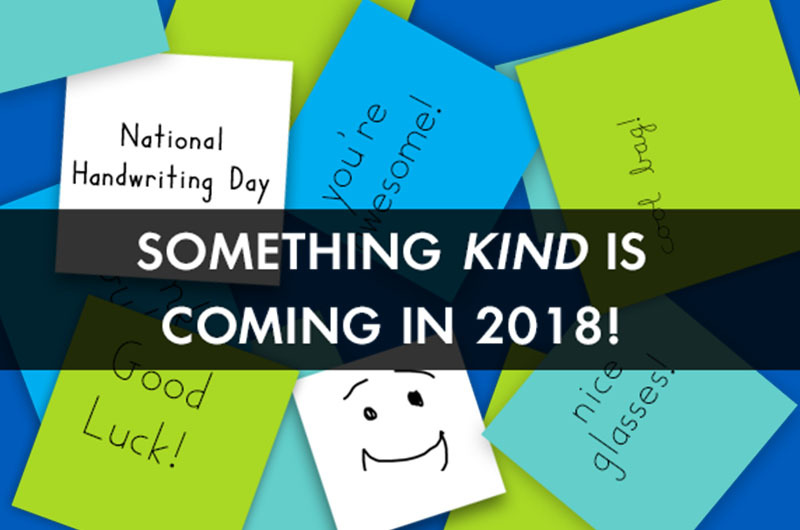 We can’t wait to celebrate National Handwriting Day with you!